Two bedroom, 1 bath cabin with tall pines. 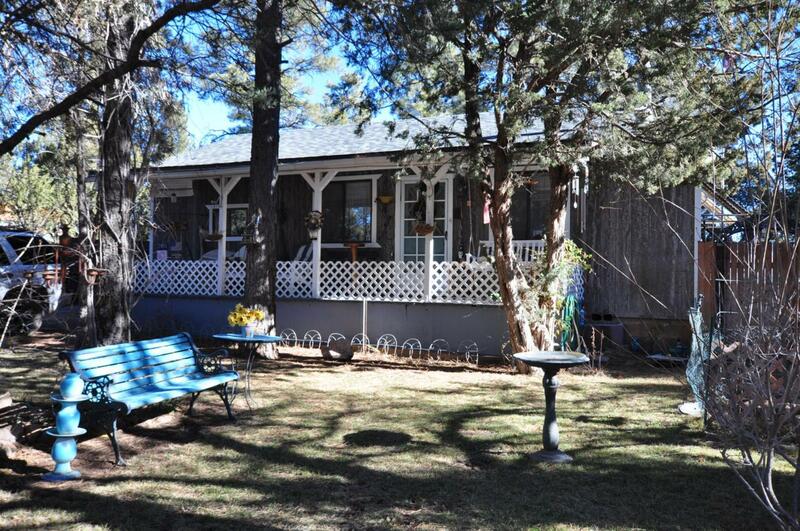 Full length covered front deck, fenced back yard with outdoor patio area, spa, 12x12 bunkhouse/storage and a store front. Property is zoned commercial/residential, sellers ran a small auto parts store out of the small store front on the property. Listing courtesy of Dominion Group Properties.